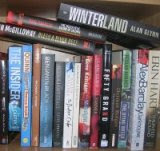 There have been a series of books that have sought to chart the rise and bust of the Irish economy. Most of them have been aimed at a mass market and provide descriptive overview accounts, often focusing on specific issues such as property, banking or politics. In the case of academic treatises, they tend to be quite disciplinary focused and concentrate on Ireland in isolation from wider European and global politics and economy. Sean O’Riain’s account is holistic, nuanced, interdisciplinary and comparative (over time and space). As a result, it is the best account to date of the Celtic Tiger phenomena and its demise. O’Riain’s lens is a combination of political economy and economic sociology, allied with a detailed reading of political science and economics. Crucially, he keeps the lens broad and catholic, providing a focus on the political and economic processes and policies operating in Ireland over the past four decades, and situating and contextualising those developments with respect to: the wider Western European political economy (which he details is divided into four blocks, each with different perspectives on the relationship between state and market: Social democrat, Christian democrat, Mediterranean, Liberal); the project of the European Union; and the global rise of financialisation and drift to (neo)liberalism. O’Riain makes the case that during the Celtic Tiger era Ireland reinvented itself as a liberal, small open economy, but one that had different characteristics - such as social partnership, strong labour market supports, embedded clientelism - to other liberal states. The state, aided by a flexible and tightly knit political culture, put in place a set of policies and support that transformed the Irish economy, but crucially also left it highly vulnerable to shock. The book is divided into 6 chapters. After a broad contextual introduction, Chapter 2 traces the development of Irish political economy from the 1950s onwards, concentrating on the period from 1987 to 2008. The next three chapters concentrate on the period 2001-2008, when Ireland’s economy swapped from productive growth to bubble growth fuelled by property development. Chapter 3 examines the patterns, politics and policies of finance and investment in Ireland, Chapter 4 details how Ireland interfaced with the broader project of Europeanisation, and Chapter 5 explores how the Irish political system was challenged by and reacted to financialisation and Europeanisation whilst also trying to chart its own path. The final chapter focuses on post-2008 and how Ireland tried to manage the crash in the context of internal pressure caused by collapsing banks, a plummeting property market, rising unemployment, and household indebtedness, and external pressures of ‘saving’ the global financial system and the European project. In each chapter the Irish experience is compared to that of other Western European countries and is richly illustrated with tables and graphs of pertinent data. Collectively, the chapters illustrate why the Irish economic and social experience, whilst having echoes of other European countries, differed in many respects and why the crash was so severe. The argument is persuasive in conceptual terms and is based on decent empirics. This is not to say that story told is perfect. I, like many others no doubt, will quibble over particular interpretations of how to make sense of Ireland’s economy and society. Moreover, in covering so much ground in terms of scope and time period, the analysis is a little sketchy at times tending to stay at a broad stroke macro-level rather than delving down into the nitty gritty of specific policies, political decisions, and the detailed workings of politics and capitalism in action, or the spatially and socially uneven effects of development and bust. There was clearly no easy way to resolve this without significantly lengthening the book, but at times a little more specific detail would have been useful. And whilst the book is good at diagnosing the problems, issues and processes at work in Ireland, it is relatively weak in the concluding chapter in terms of prescribing an alternative development path that the Irish state should seek to follow to put the country on a more sustainable and socially footing. 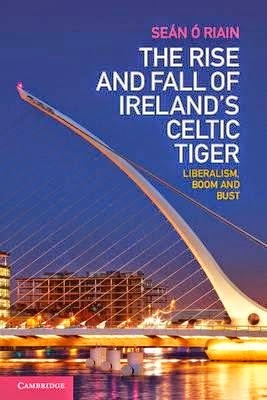 Despite these quibbles, The Rise and Fall of Ireland’s Celtic Tiger is a must read for anyone who wants to understand Ireland’s development path and its boom and bust or those that have an interest in the political economy and viability of the wider European project. Indeed, it would be a shame if the book’s principal audience was limited to those interested in Ireland as it also tells a much larger story about markets, states, political projects and economic development. Overall, an important book and one that I’ll no doubt return to many times in the future as a guide and source of ideas and analysis.